The Semiramis Hotel in affluent Kifissia, a northern suburb of Athens, Greece is a luxury boutique hotel with cutting edge contemporary interior design. 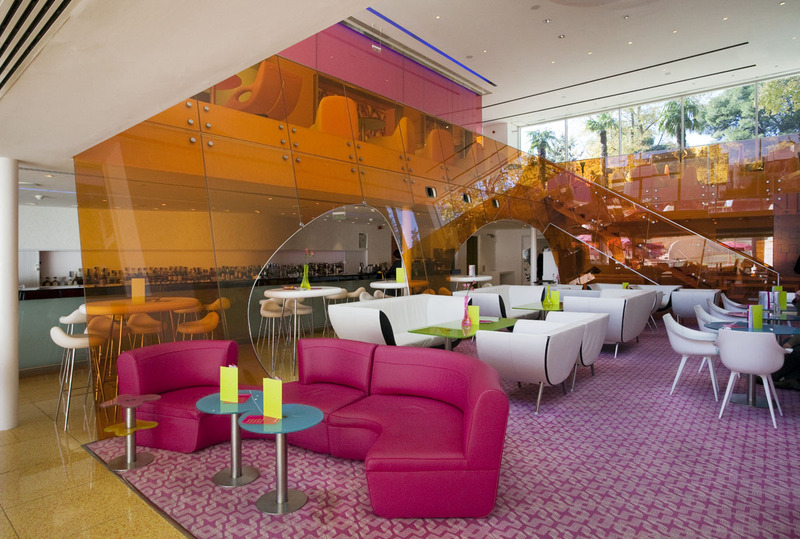 Industrial designer Karim Rashid used his signature bright lively colours to create a futuristic atmosphere of comfort and functionality. 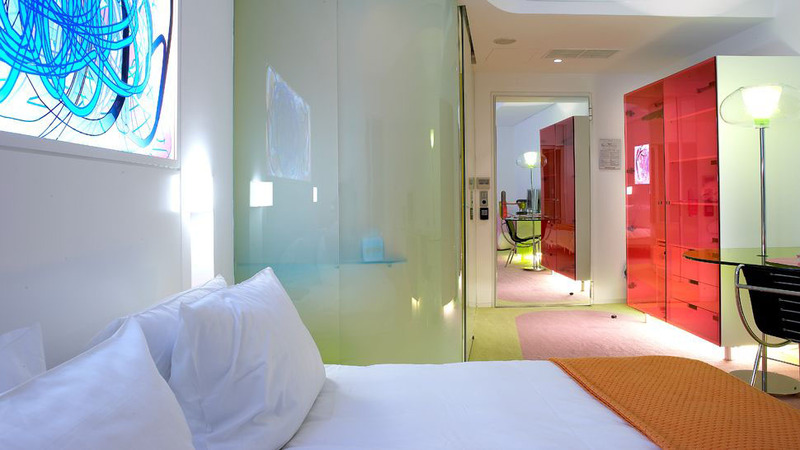 The playful mix of textures and materials such as plastic, coloured concrete and rubber is a theme of the hotel interior decor.